It does help, quite a lot. 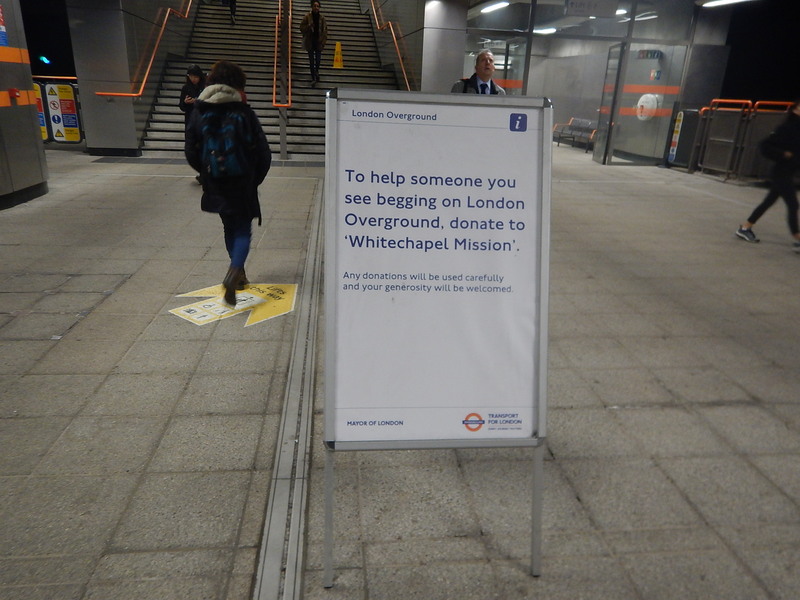 Sadly there is a chance that the person begging may use money given directly to them to buy alcohol or drugs. That said, I do give sometimes off a coffee and sandwich in cold weather, or a bottle of water in very hot weather. And I always say hello, tell them my name, and ask what sort of a day they are having; as a recovering alcoholic I know people who have been street homeless, they tell me that the hello is the most important thing. Talking to people I know that in very many cases the abuse of alcohol and drugs follows the homelessness rather causing it. Agreed. Have also experienced this myself when traveling on S Stock trains. At least, I’ve never seen a beggar with a set of bagpipes!